“Never look a gift horse in the mouth.” Whoever coined that old phrase probably never owned a horse. Because, when it comes to our horse’s well-being, looking in his mouth is exactly the right thing to do. Your horse’s teeth are essential to his good health. In a recent study funded by the Horse Trust at the University of Liverpool, England, veterinarians diagnosed dental problems in 95.4% of horses over the age of fifteen. Yet, only 24.5% of the owners were aware of any kind of problem! Let’s face it, it’s easy is it to get so caught up in everyday barn chores that we overlook where good nutrition begins, in the mouth. Not only are the teeth essential for good health, but they play a major role in getting our horses soft in the mouth and working well on the bit. Baxter, our paint horse, and Hootie, our leopard Appaloosa, are going to 'school' at Steve Smith's Ultra Morgans (www.ultramorgans.com) horse farm in Delta, Ohio. Part of the training process is to help the 'boys' experience all that they can. We know that good experiences while they’re young will lay a solid foundation for down the road. But to give them the best start, we called the dentist to make sure their mouths were in good health. Our equine dentist evaluated their teeth using a speculum. The speculum keeps the horse’s mouth open and is outfitted similar to a halter. A cushioned head rest allows the horse to relax his head during the process. I was amazed with the 'certified master equine dentists' equipment and the skill with how it was used. Our dentist’s surgical light offered precise and direct lighting into the horses mouth. Similar to our human dentist, his tools are all kept handy in a 3-tiered cart. Handy hooks hold several diamond cut tools, which he uses to gently remove hooks and ridges on the horses teeth. These tools are made with a protective edge that prevents contact with the horses gums. Every horse’s mouth is different. Some teeth are in straight rows, like Baxter's, while others are curved in towards the back, like Hootie’s. Some horses have very large teeth, others have normal sized teeth. But, all of this is taken into account as the ‘floating’ is done. The sharp hooks and ridges are filed and leveled, but our dentist cautioned against filing teeth smooth. He told us the surface texture should feel like the grout that goes in between tile, a little rough. After the teeth were filed, the speculum was removed and a softer, round thick tube is inserted into the horse’s mouth, similar to a bit to keep the mouth open. A finishing file removed any tarter from our horse’s teeth. After the job was finished, I was given a dental chart detailing all the work that was done. This will become part of each horse’s permanent health record. The entire process lasted less than an hour and our ‘green’ horses were very good. This style of dentistry was an eye opener for me. It gave me a whole new outlook on how to take even better care of our horses! We now know the signs of dental problems, including a sore neck, back, avoiding the bit, excess chewing, throwing grain or even turning the head sideways to eat. We can also run our fingers alongside of our horse’s head where the upper molars are located. If he’s sensitive here, (flipping his head back or moving away), it could indicate a bad tooth or hook. We can check our horse’s manure to be sure he’s digesting his forage. While small amounts of hay and grass is normal, large amounts of undigested forage is a problem. When seeking an equine dentist, you’ll have to do your homework before scheduling an appointment. Ask the dentist how he or she will evaluate your horse’s teeth, what kinds of tools they’ll use, if they use tranquilizers, and how they’ll handle your horse if he’s unsure about the process. You might consider a consultation before the dentist arrives to give you peace of mind and ensure your horse has a good experience. Good experiences now will help your horse trust others who will care for him in the future. One last note, our dentist stressed that equine dentistry is part of a veterinary practice. 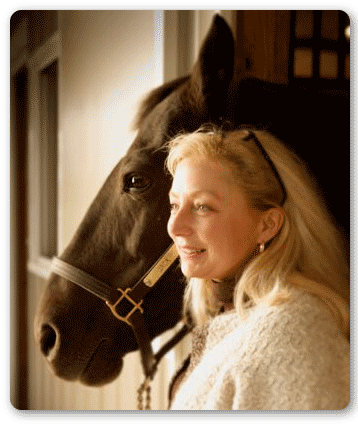 Equine dental technicians should work along with veterinarians. Ask your veterinarian for recommendations if you’re unsure. If you’d like to learn more about equine dentistry, be sure to check out these sites: www.advancedwholehorsedentistry.com (Spencer Lefleur’s Advanced Whole Horse Dentistry) or the www.aaep.org/dentistry (American Association of Equine Practitioners).